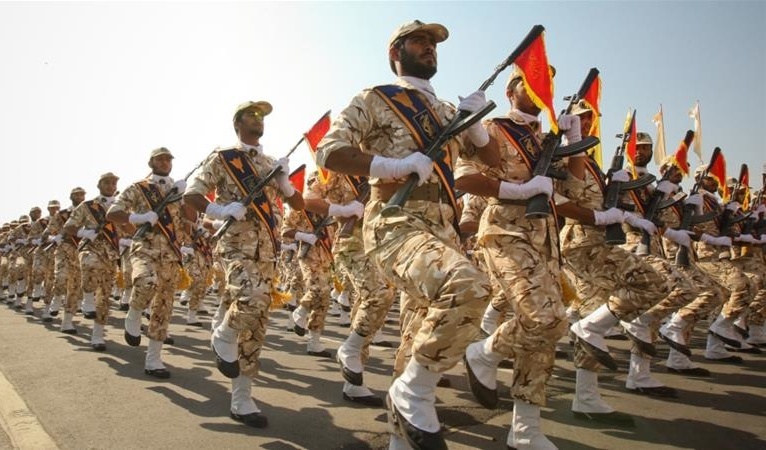 An attack on a Basij paramilitary base in southeast Iran has killed a Revolutionary Guards soldier and wounded five others. Saturday’s assault was during official celebrations for the 40th anniversary of the Islamic Revolution. The deputy governor of Sistan-Baluchestan Province, Mohammad Hadi Marashi, said it was on the Basij base in the city of Nik Shahr. Baluch separatists, who are Sunni Muslim, have battled the forces of the majority-Shia Iranian regime for decades near the Pakistan border. The Jundallah faction carried out a series of attacks until its leadership was detained and executed, and then the Jaish ul-Adl faction pursued assassinations and the killing and abduction of border personnel and Revolutionary Guards. The semi-official outlet Tasnim said Jaish al-Adl has claimed responsibility for Saturday’s attack. Mohsen Golmohammadi, Nik Shahr’s prosecutor, said two attackers scaled the wall of the base and opened fire. Both escaped. Last week, a double bombing injured three policemen in Zahedan, the provincial capital. Jaish al-Adl said it carried out the operation. Three aerospace researchers have died in a fire at the Iranian Space Research Center. Telecommunications Minister Mohammad Javad Azari Jahromi said the blaze broke out while staff were celebrating the 40th anniversary of the Islamic Revolution elsewhere in the center. Jahromi did not give a cause for the fire, which broke out as the Minister was speaking about the launch of new Iranian satellites. Meanwhile, Iran’s Chief of Passive Defense said another fire broke out at the same time in the basement of the Iranian Power Research Center. He said the fire was controlled and no one was injured. On Saturday, the Iranian regime celebrated the Revolution’s anniversary with the unveiling of the Hoveyzeh cruise missile, with a range of more than 1,350 km (840 miles). We know what you are doing and where you are doing it. We will continue to take action against Iran with all the tools at our disposal in order to ensure the security and future of Israel. Israeli services are believed to be behind a series of assassinations killing four Iranian nuclear scientists and personnel between 2010 and 2012. The US tried to disrupt Iran’s nuclear program with the Stuxnet malware, first tested for two years at Israel’s Dimona nuclear plant. In September 2016 the Associated Press reported that a series of fires at Iran’s petrochemical plants might be linked to sabotage. And an explosion at an ammunition depot in Bidgeneh, near Tehran, killed the leading scientist in Iran’s missile program, Hassan Tehrani Moqaddam, and 16 Revolutionary Guards officers. Last month Iranian officials reported that a missile failed to reach the required altitude for deployment of the Payam satellite in orbit. The US and France condemned the test. Last week the European Union linked the activation of a limited economic link with Iran, bypassing US sanctions, to criticism of further missile research and development.